More than a half century after she graduated, vivid memories of Weequahic High School and a lost Newark do more than enrich the life of 75-year-old Elayne Braunstein. 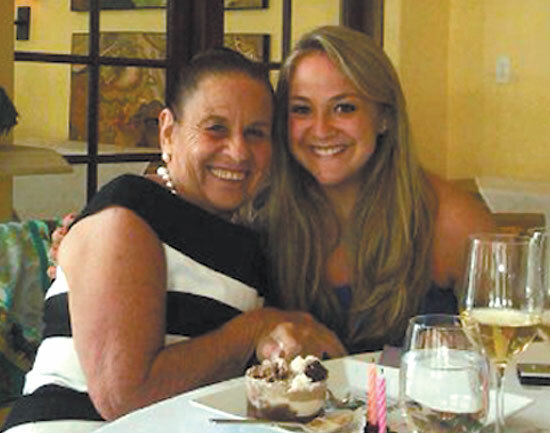 They have also become an inspiration for her granddaughter, Natalie Lazaroff. The paper, “The Weequahic Indians: An Everlasting Tribe,” goes beyond nostalgia to explore why Jewish families left Newark beginning a decade or more before the devastating riots of 1967, and how they preserved their identities after relocating to the religiously diverse suburbs of Essex County. Her research has made Lazaroff a darling of the Jewish Historical Society of MetroWest, which assisted her in the effort, and one of her professors, historian Jenna Weissman Joselit, who discussed Lazaroff’s paper in a recent column in the Forward newspaper. Her grandmother, who graduated from Newark’s Weequahic High in 1954, remembers that some of the friends from her Keer Avenue neighborhood starting heading for the suburbs as early as 1950, years before they would have begun attending high school. Braunstein, the former Elayne Shain, left Newark after she graduated from WHS and attended the University of Miami, where she met and married Irwin Braunstein. They moved to his hometown of Passaic and she commuted to work in his family’s business, Elfenbein’s Meat Market, on Mulberry Street in Newark. Four years later she found her “dream house” in Livingston, but her old Newark neighborhood continues to play a major role in Braunstein’s memory. “I grew up there,” she said. “I went to parties there, and all my friends lived there. We went to Temple B’nai Abraham. We walked or we jumped on the No. 14 bus and went downtown. We weren’t afraid. When we started dating, we left the house and we walked to The Tavern,” a popular restaurant on Elizabeth Avenue. Braunstein is practically addicted to the weekly newsletter e-mailed from the Weequahic High School Class of 1963 Association. She has attended several reunions and believes that the older Jewish contingent of alumni is “doing a wonderful thing” by lending scholarship assistance to African-Americans, who now make up the majority of Weequahic students. To her granddaughter, who plans to spend a year in Israel before attending law school, “Newark is a unique city.” Her grandmother and her contemporaries are examples of its character, even after they left town, she said. “There was a definite attempt to take their Newark community out to the suburbs,” Lazaroff said. “That was a huge piece of it, like the ‘Newark furniture’ Philip Roth wrote about that was stored in the basement of Brenda Patimkin’s home in Short Hills” in his novella Goodbye, Columbus. Those who left Newark “maintained Jewish identities, whether they be religious or cultural, even after leaving the city and moving to towns that had little or no established Jewish communities at that time,” writes Lazaroff. 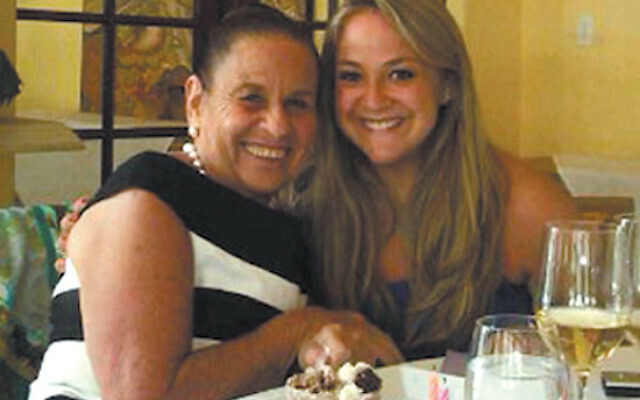 Her grandmother, who now lives with her husband in West Palm Beach, Fla., returns to New Jersey frequently to visit her children and grandchildren in Cherry Hill, Warren, and Basking Ridge. “New Jersey is really home,” she said. From time to time during those visits she and Lazaroff will drive together along Keer and Clinton and Chancellor avenues — urban thoroughfares that have become her personal memory lanes. “From out of Weequahic comes all good things,” she said.